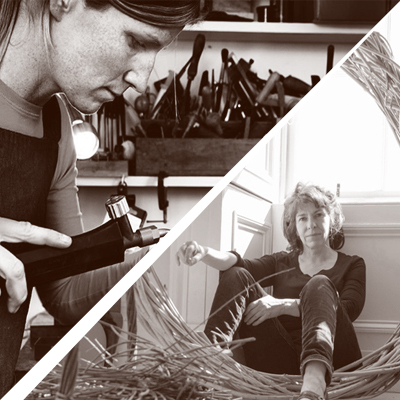 Delve into the story of Craft Scotland's makers with a series of Booth Talks at Collect 2019. Although working in very different mediums and scale, Anna Gordon and Lizzie Farey share a lot of common approaches to their work. Drawing, repeated components, movement and pattern are themes that resonate. With an in-depth knowledge of process and a respect for materials, both Anna and Lizzie work within set parameters creating their own interpretation of composition, with a restricted pallet and a pared minimalism. Both makers will discuss their process and compare how a piece can be translated as a sculpture on the wall or on the body. 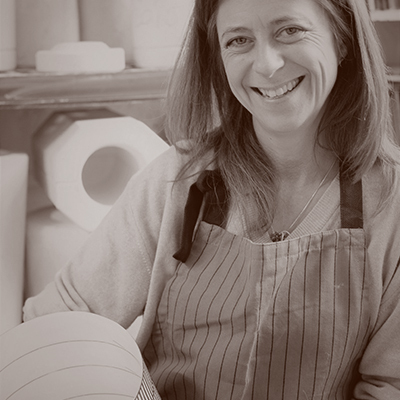 Join Lara Scobie as she discusses how she arrived at the new work shown with Craft Scotland and what it means for future development. With support from Creative Scotland in 2018/19, Lara undertook a new development project that explored scale, new ways of constructing form, colour and its effects on patternmaking. Explore Lara’s creative process through handling test/sample pieces and delve into the creative decision making behind the new work. Lara will also discuss the challenges makers' face around developing creative thinking, progressing as an artist and taking risks to push their work forward.